A stay-at-home mother-of-one who has been financially dependent on her partner since quitting her job two years ago and considers herself a 'kept woman', has hit out at critics - calling them 'bitter'. 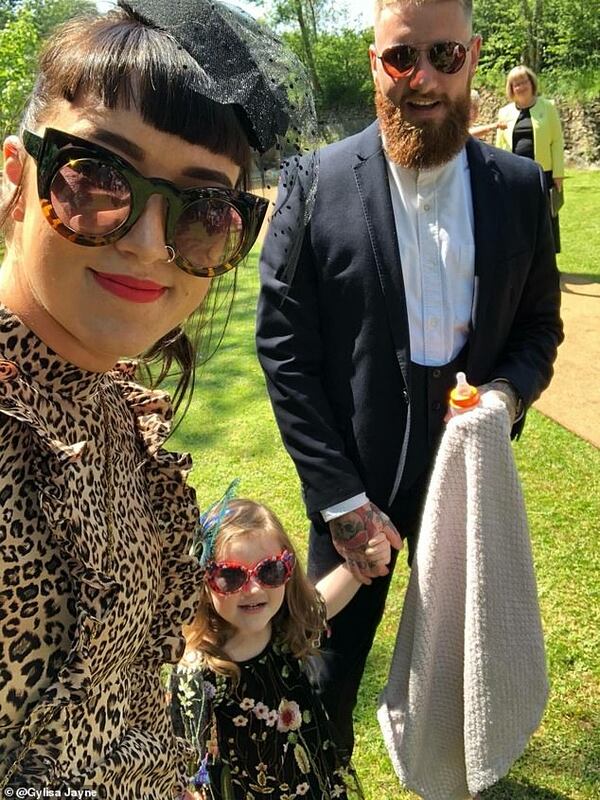 Gylisa Jayne, 26, from Cornwall, has been with Ryan, 27, a self-employed builder, for six years and they have a daughter Lily, three, together. She worked at the Premier Inn as a housekeeper five days a week earning £10,000 a year, but left her job in September 2017 following her maternity leave. Since then, Ryan has happily given her control over the household budget out of his £25,000 annual earnings, and she ensures he runs his purchases past her before he spends money on himself. While Ryan is happy with this arrangement, Gylisa admits she has received negative comments since revealing she is a 'kept woman'. While the concept of being a 'kept woman' is often associated with the wife of a high net worth individual, Gylisa feels she fits into the category because she has to rely on her partner for every penny. And she claims that self-employed builder Ryan likes being the breadwinner. 'Then when I got pregnant I went on maternity leave and took the full year. As the year came to an end we were thinking about what to do with childcare as we didn't have any family down here. 'I returned to work for two months but it made me miserable. He was earning to sustain us so Ryan just said, "look if you don't want to work then you don't have to" - so I jacked it in before Christmas 2017. But Gylisa, who goes by @rocknrollmother_ on Instagram, has received backlash following her lifestyle choice - despite the fact it's fully supported by Ryan. But Gylisa, who has full control over the house's finances, has recently decided to put a halt to their spending. Day-to-day, Ryan will get up early while Lily goes to pre-school two days a week - leaving Gylisa with a chance to pursue her hobby of writing. But while Gylisa is spending her days visiting the local beach with her daughter, Ryan sometimes gets envious that he's missing out. Gylisa admits that while she has discussed swapping roles and earning the money instead, she finds the idea quite petrifying. But she has found there's a massive stigma attached to her lifestyle choice - and says there's far too much importance on being paid.